For most people, achieving a healthy, beautiful smile is the reason for receiving orthodontic care. 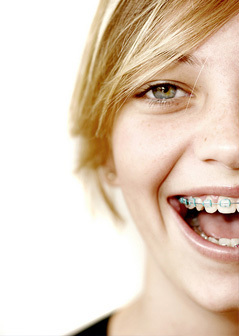 If you’re self-conscious about your smile, correcting your concerns with braces will greatly improve the way you look and feel. When your treatment is complete, you will have the smile you’ve always dreamed of and the confidence to show it off! We also want you to feel comfortable and confident throughout your entire orthodontic experience, and our practice is dedicated to making sure that you receive the quality care you deserve.